The Reserve Indian Wells is a premier golf community that is situated on the 18-hole championship course of the same name. The community was designed and built in 1999, and is located in Indian Wells at the foot of the Santa Rosa Mountains. The Reserve Indian Wells offers golf, tennis, swimming, and fitness facilities designed for the elite 21st century user, along with a Tuscan-style clubhouse featuring dining both indoors and out. This is truly the cream of the crop in country club living. You can purchase a new home or a re-sell from a current owner starting around $2 million. That’s a small price to pay for the serene desert, mountain, and golf course surroundings. 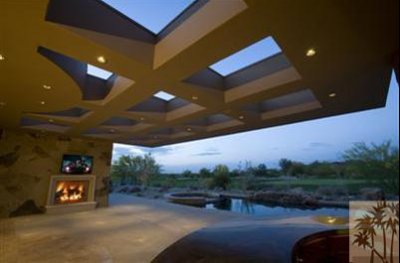 The Reserve focuses on privacy, luxury, and a serene environment, indicative of the desert lifestyle. The club features 21 holes of golf that were designed by Weiskopf and Moorish, a well-known elite design team. The fitness center at The Reserve is noted to be one of the best in the valley, and membership is included in your home ownership. There are 250 homes in this community, and all of them provide a sense of luxury, serenity, and a custom feel, whether you’re building a custom home or buying one that’s already been built. From villas to bungalows and other custom homes, there is something for everyone at The Reserve. There are a few remaining lots that can be purchased and developed, but these are going fast. The location is perfect for residents; you are given a quiet desert lifestyle and surroundings, but are located conveniently near El Paseo, for all of your dining and shopping needs. Golf membership requires $250,000 equity, along with just under $20,000 in dues each year. Homeowner fees are in the $650-$800 price range, and homes are valued between $1.5 and $9 million, depending on the size, scope, and design. You can also find custom lots, which are valued between $800,000 and $2 million, on which you can have a custom-designed home built for you. These homes are providing the best in luxury to those who desire the luxurious lifestyle in a serene desert setting. Square footage on these homes varies greatly, but you can expect anything from 2,500 up to 5,000 square feet. Whether you wish to design the home of your dreams, or you simply want to purchase a pre-existing home, The Reserve offers a little slice of desert paradise for everyone who’s interested. If you want more information on The Reserve Indian Wells, or if you’re just looking to book a tour of this exquisite community and one of the homes there, please contact us now. We are specialists in the elite living of these gated communities throughout the Southern California desert, and can help you with any of your needs. It doesn’t matter if you’ve just begun looking, or if you’re ready to buy today. We can help you find the home of your dreams, and ensure that you get exactly what you want when it comes to your luxurious desert home purchase. Contact us now to get started. If you would like to see property at The Reserve Indian Wells, please call us at the number below. Were committed to helping you find the home of your dreams.